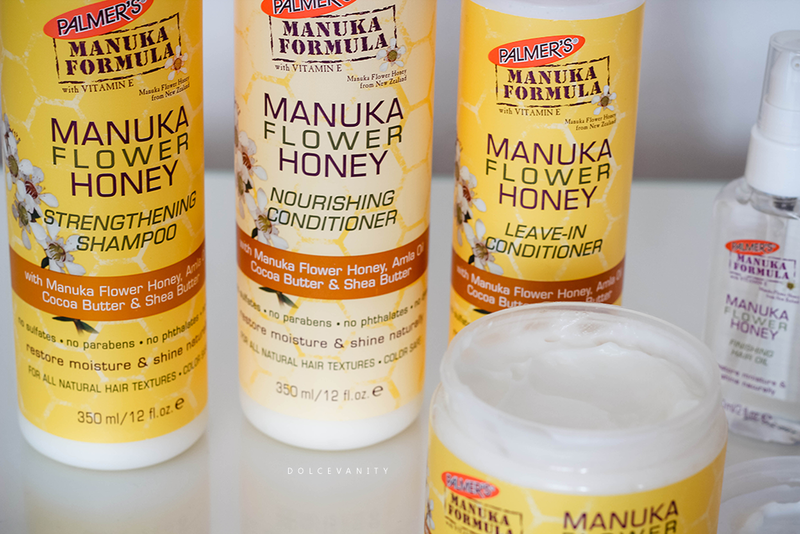 Palmer's Manuka Flower Honey Haircare. 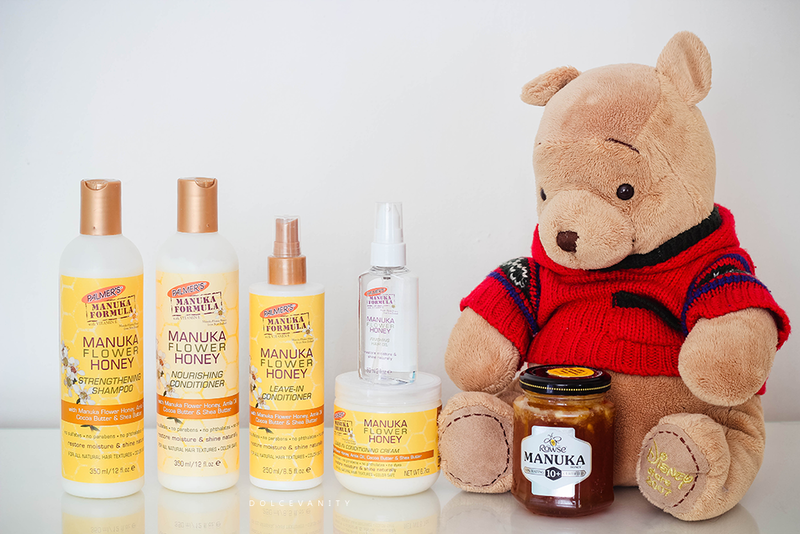 Manuka Honey, it's the honey of all honey's, thanks to its antibacterial, vitamin, amino acid and protein properties, honey acts as a natural hair humectant binding and attracting moisture, should be good for those with low porosity. 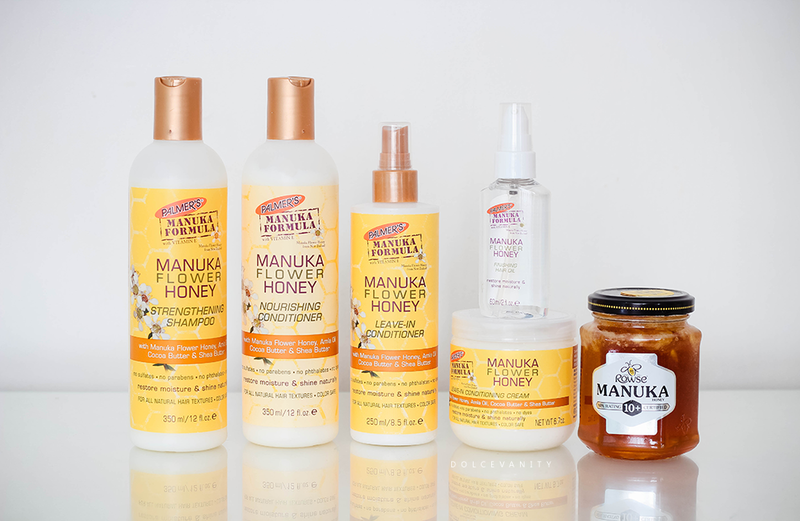 The Manuka honey within this range is harvested directly from New Zealand. Other key ingredients are amla oil, helps strengthen the hair follicles, vitamin E, is a huge antioxidant and it helps natural hair to repair damage, cocoa and shea butters are rich in moisture, high fat & vitamin E content. Will help smooth and condition hair and form barriers to protect the hair from heat & styling damage. I decided to use these during my next wash and see how my hair reacted to this new haircare. During this I used the L.O.C method = leave-in, oil and cream. The shampoo was very cleansing, if you've read my previous thoughts of my hair & shampoo, I'm not much of a fan. I find it strips my hair way too much and even after conditioner still feels dry, unfortunately for me it was the case again with this shampoo. It contains sodium C14-16 olefin sulfonate, which is a poor cleansing agent, some sources say it's more or less harsher than SLS. I just know that my hair feels pretty stripped after most shampoo use, it could be down to the condition of my hair or the ingredients. Nourishing conditioner, it's pretty thick and you've got to make sure to have the lid open all the way because it's not easy to squeeze out as it is, while in the shower I experienced that. I coated my hair with it and detangled and put a shower cap on while I continued to wash. Once I rinsed it out the hair felt okay. I just feel it needed more time on because the shampoo really dried the hair out and the conditioner needed to sit in the hair longer than a couple of minutes. Before letting my hair entirely air dry, I sprayed through the leave-in conditioning spray and applied a thin layer of oil while in sections, keeping the sections in I'd seal in that moisture with the conditioner cream and leave to dry. The results were not bad, I had to put coconut oil in my hair once it had dried as there wasn't enough moisture but my hair did get some tighter 3b curls rather than the 3a/3b it's normally sets too. Overall, the scent is mild but still would be a hit & miss with folks but it didn't bother me. I've used Palmer's leave in sprays in the past and they work well in my hair, I didn't find any flaking after the leave in cream was applied & after it dried. I'd probably stick to a more intense oil for my hair rather than the finishing hair oil, I think this hair oil would work well in my hair when I straighten it because my hair loves lighter oils like this but when it's in it's wavier/curlier natural state, it needs a lot more after a wash, but I find that when my hair got drier on the ends and I didn't want to weigh it down, this sufficed for me. I'll continue use the conditioners from this range as even 4 days later my hairs still happy. It can't be all bad! 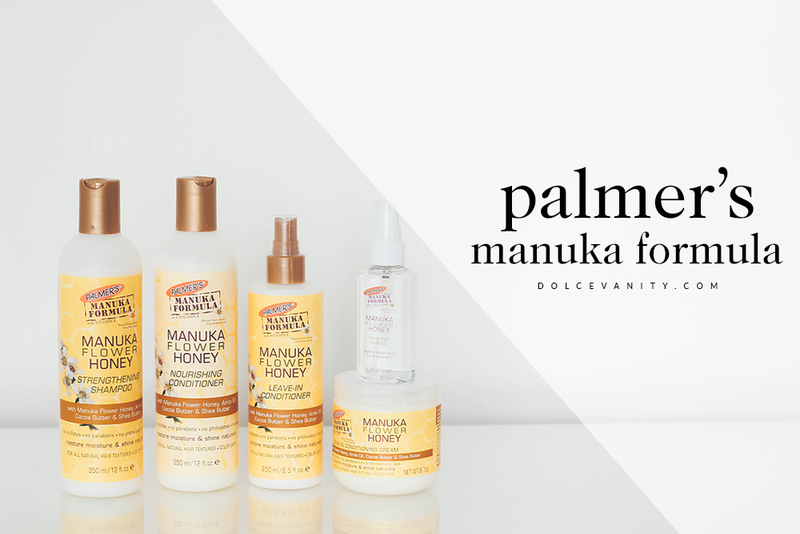 Have you tried anything from the Palmer's Hair Range?